Hurry up. 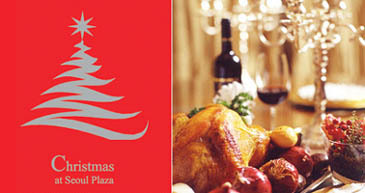 All the information on Christmas parties held at luxurious hotels in Seoul is here. Information on Coex Intercontinental Hotel, Grand Hyatt Seoul, Ritz Carlton Seoul, Seoul Plaza Hotel, and Sheraton Grande Walkerhill Christmas Parties are below. Fare: Adults 60,000 won. Age 5-10 40,000 won. 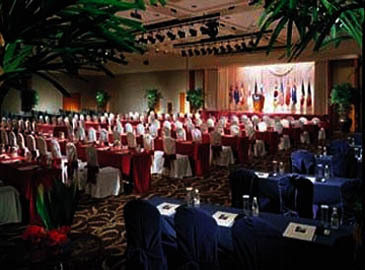 A Christmas party for children will be held in Coex Intercontinental Hotel. With a professional master of ceremonies, programs the all family members can enjoy will be provided. Games and Tokebi Strom performance are noticeable. JJ's Holiday Party, of which title is "A World of Winter White" will bring attendees winter white fun with a spectacular blizzard of ice craft. Live House Music DJ, Jimmy Chen and music performances by ULTRA will heat the white winter night. On stage. All night. Programs: Photo Contest of Best Couple will be held. Prize will be the free dining coupon of Lotte Hotel. The New York Style pub Nyx & Nox holds the Christmas and New Year's Celebration Party. Dance time starts from p.m. 09:00. 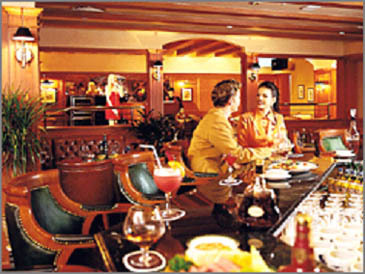 Cosmopolitan cocktails and intense red decoration will tantalize customers to Christmas dream. A Moroccan-style Christmas party will be held at Plaza Pub on Christmas Eve. Events such as fortune telling with tarot cards and belly dance are planned. All customers visiting Plaza Pub on Christmas would receive a wide range of gifts, such as travel certificates, liquor sets and tickets for overnight accommodation. Sheraton Grande Walkerhill holds two parties: one is a tequila party; another is a Latin dance party. Date: 24th Dec 2004 P.M. 08:00. Program: Tequila Shot / Tequila Sunrise / Margarita / Lemon Slice / Salt /Coffee Powder / Nacho (unlimited) DJ, Latin & Salsa Dance, Lucky Draw. Kate (Miae) Woo serves as a staff reporter for The Seoul Times. She studies international relations at the National University of Seoul. She also studied at the University of Washington at Seattle. She covers business and foreign communities.